– Ordering the food yourself and making all the arrangements to serve it on the day of Iftar. 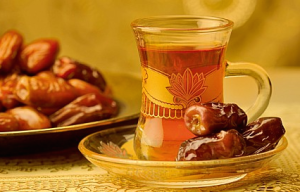 – Paying for the Iftar, and the Mosque management will order and help serve it. To sponsor/pay for an Iftar, please consult the following chart. You can sponsor an Iftar wholly or partially as you like and you can afford. Reservations for the Iftar usually start in 15 days before Ramadan (Mid-Sha’ban).